Willow knows she's different from other girls, and not just because she loves tinkering with cars. Willow has a gift. She can look into the future and know people's dreams and hopes, their sorrows and regrets, just by touching them. She has no idea where this power comes from. But the assassin, Alex, does. Gorgeous, mysterious Alex knows more about Willow than Willow herself. He knows that her powers link to dark and dangerous forces, and that he's one of the few humans left who can fight them. When Alex finds himself falling in love with his sworn enemy, he discovers that nothing is as it seems, least of all good and evil. 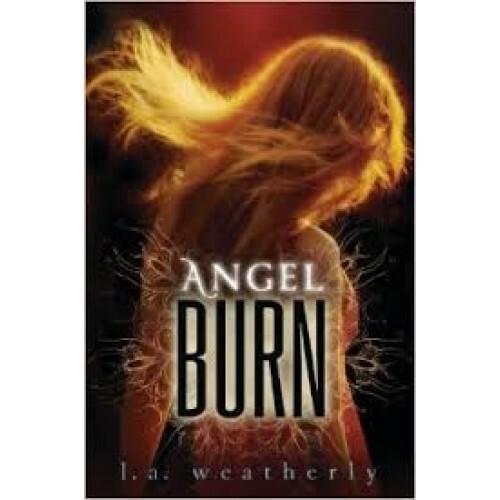 In the first book in an action-packed, romantic trilogy, L..A. Weatherly sends readers on a thrill-ride of a road trip - and depicts the human race at the brink of a future as catastrophic as it is deceptively beautiful. They're out for your soul . . . and they don't have heaven in mind.